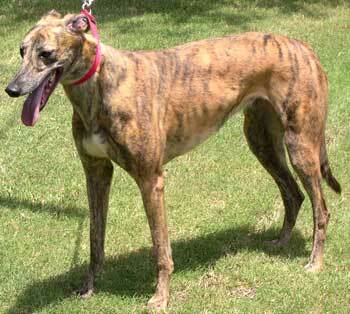 Dazzle, aka CTW Bull Dazzled is a charming 4-year-old brindle female, born August 7, 2000. Her sire is Loxahatchee Dash and her dam is Kiowa Day Bull. Dazzle's racing career began July 8, 2002 in Tampa, Florida, and her last race was February 18, 2004 in Palm Beach, Florida. 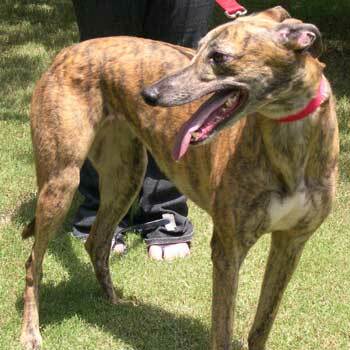 Dazzle is ready and racing for that retirement couch! It is not known at this time if Dazzle is small animal or cat tolerant.